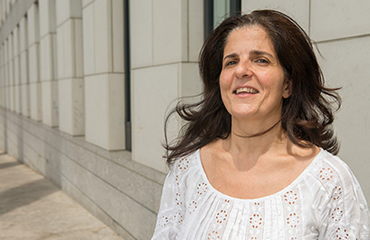 Dr. Zeina Chemali is the Director of the Neuropsychiatry Clinics and Training in the Departments of Psychiatry and Neurology at Massachusetts General Hospital (MGH). The program is ranked one of the top three best combined programs for the two specialties in the United States. Dr. Chemali is one of the few physicians in the country who is dually boarded in psychiatry and neurology and has additional expertise on developmental disorders. At the Division of Global Psychiatry, Dr. Chemali directs the Global Neuropsychiatry Outreach program and will be launching the Middle East Desk for Clinical and Public Affairs in Arabic as the primary language in early 2016. Dr. Chemali’s research interests include the social determinants of health in developing countries, the impact of structural violence on vulnerable groups, especially the elderly and the refugees. She has studied the impact of psychosocial factors on the course of neurodegenerative diseases, particularly in early onset dementia, and healthcare delivery systems in the US and abroad. She has published work on these topics in leading peer-reviewed medical journals. Dr. Chemali combines her clinical practice and teaching in the US with extensive work internationally building education and clinical programs in Lebanon, Ethiopia, South Africa, Saudi Arabia, Norway, and Brazil. Dr. Chemali has received multiple awards from national and international organizations for her relentless work in Africa and the Middle East to promote education and gender empowerment in the fight against structural violence and poverty. She is the recipient of the award for Excellence in Elder Care in the New Millennium.